Inside Meccano's ideas factory Jump to media player Meccano's production manager Mattei Theodore gives a tour of the factory in Calais, including the room where designers develop new models to build. 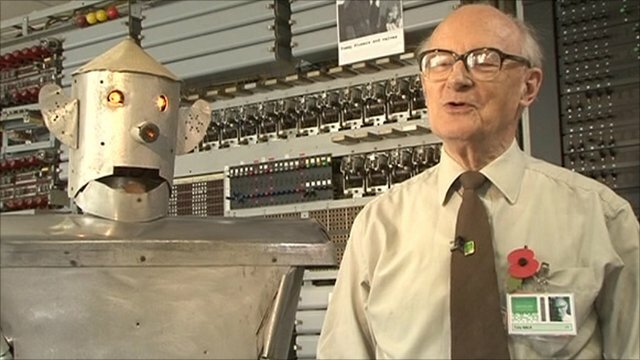 60-year-old robot finds new home Jump to media player Former spy catcher and RAF officer Tony Sale built a robot that steered itself towards a beer bottle in 1950. Many toys bought for children this Christmas are likely to have been made in China. However one company has decided to buck the trend and repatriate production back from China to Europe. Once a British business, Meccano has been around since the end of the 19th century but is now based in France. The Calais factory punches out 1m construction kits a year - plastic now as well as metal, but all instantly recognisable with their struts and bolts and evenly-spaced holes. Production manager Mattei Theodore gave BBC News a guided tour of the factory, including the room where designers develop new models to build.